Corvus Energy will provide newly-designed lithium-ion energy storage systems for a hybrid rubber-tired gantry crane (RTG) designed by CCCC Shanghai Equipment Engineering. The new solution, being taken up by Shanghai Zhenhua Heavy Industry, the world’s largest port crane manufacturer, is a smaller, ultra high power, liquid cooled system designed specifically to meet the RTG power requirements more cost effectively. 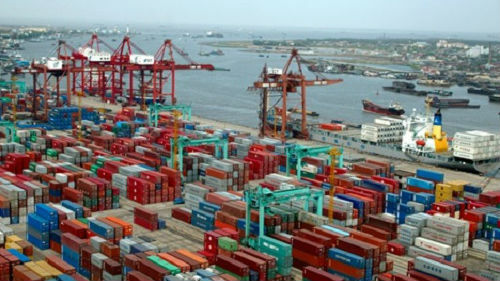 The first order is destined for Shanghai International Port Group and will be installed in Yidong Terminal, Shanghai. Unlike conventional diesel electric port cranes, the CCCC hybrid version is powered primarily from the Corvus system resulting in fuel savings of up to 65 percent, says Corvus, with the added benefits of reduced operating costs with less greenhouse gas emissions and lower noise levels at the terminal. 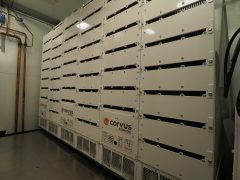 Corvus makes industrial-grade lithium ion batteries that are used for making hybrid and electric ships, offshore drill rigs and port equipment. These batteries are combined into the diesel-electric drive trains of these industrial vehicles. The benefits are similar to the Prius and Tesla cars, (i.e. lower fuel consumption and emissions, better responsiveness and lower maintenance costs), but on a much larger scale because the industrial equipment has greater energy demands and generally work around the clock. Gantry cranes are typically inefficient, running a diesel genset at full RPMs regardless of how much work they are actually doing. Therefore, during waiting, or low activity periods, a lot of fuel is wasted, says Corvus spokesman Sean Puchalski. “Also, when they lower the containers, the electric motors spin backwards and generate energy. In a typical crane, this energy is wasted into heat by running it through a large resistor bank. The heat dissipates into the environment. In addition to battery hybridization, some gantry cranes are being connected to the electrical grid to get completely off diesel gensets. 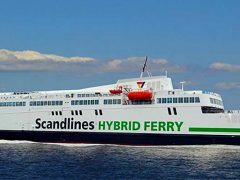 This results in very good fuel cost improvements and also emission reductions, says Puchalski. However, this approach requires a large capital outlay for the electrical distribution and also reduces the mobility of the cranes. The same types of technology are deployable around the globe. However, there are three main factors spurring the adoption of batteries in port equipment: 1) higher fuel prices; 2) busier ports; and 3) concerns about climate issues. These factors are strongest in China, Northern Europe and California at the moment, and this is where we will see the greatest early adoption, says Puchalski.